Stroke. Functional magnetic resonance imaging (fMRI) scan of the brain of a 32 year old woman after a massive cerebrovascular accident (CVA), or stroke. 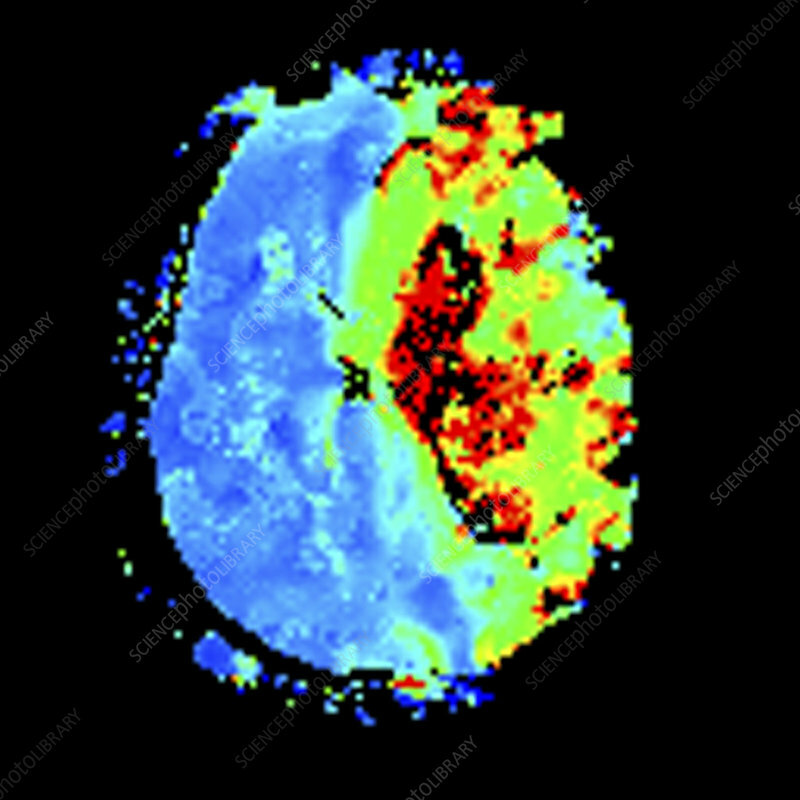 This scan shows the amount of blood flow received by areas of the brain. Green and blue areas are receiving normal blood flow, while yellow, red and black are receiving abnormal blood flow. The areas of ischaemia (lack of blood flow) in the right hemisphere are due to a blocked right internal carotid artery. Complete loss of blood flow causes infarcts, areas of dead tissue. The blockage may be due to a thrombus (blood clot) or embolism (air bubble or loose blood clot). Strokes can be instantly fatal, or may pass unnoticed. Symptoms can include muscle weakness, behavioural changes or paralysis.